WASHINGTON — As the U.S. Navy’s surface fleet moves into 2019, a radical shift is coalescing among its leaders: a move away from a model that has driven the way the service has built its ships for decades. Boxall describes the current situation to an integrated combat system as the difference between a flip phone and an iPhone. When buying a flip phone, most of the hardware and software are already included, leaving you with a limited ability to upgrade the phone. And if you want to run more advanced applications, you need a new phone. Instead, Boxall wants the combat systems to run like the iPhone. “For us to get faster, we either have to keep going with the model we had where we upgrade our flip phones, or we cross over the mentality to where it says: 'I don’t care what model of iPhone you have — 7 or X or whatever you have — it will still run Waze or whatever [applications] you are trying to run,” he said. “We need to continue down the path to be more aggressive and get a lot more competition in the open-architecture space,” Boxall said. Autonomous swarms of mine detonators could be the answer to autonomous weapons still haunting shipping lanes. The grand vision for this operating system from the deck-plates perspective would be the merging what are, today, disparate functions into one unified system, said Bryan McGrath, a retired destroyer skipper and consultant who heads The FerryBridge Group. One of the areas in which this segmentation creates limitations falls between the combat information center — which collects and displays information gathered by ships’ sensors — and the intelligence hub known as the Ship’s Signals Exploitation Space — which uses top-secret sources to collect data on the theater in which the ship is operating. In that scenario, if SSES receives information that three Iranian F-14 jets took off from Bushehr Air Base, a watchstander in the combat information center with the proper security clearance could see what information SSES has on the aircraft and their mission while stripping out top-secret information such as sources and methods that SSES needs to protect. And once CIC has a radar track associated with that intelligence, all SSES data will get merged into it so decision-makers in combat have the necessary intel at their fingertips. But the logic applies to all the ship’s sensors, not just intelligence collection data. The unified combat system would associate every piece of sensor data with the track being displayed in CIC, McGrath said. Everyone connects to a single system that gives every watchstander all the information they need on every track, both real-time and non-real-time data. There’s a number of obstacles to getting the surface fleet on a unified system, but one that could be insurmountable: the staggering cost of replacing the fleet’s outdated computer hardware. The Common Source Library, developed for the Navy by Lockheed, begins moving the Navy down this path of a single, unified combat system. The CSL is essentially the iOS of an iPhone: The Navy can use CSL to program applications that run sensors and weapons systems. 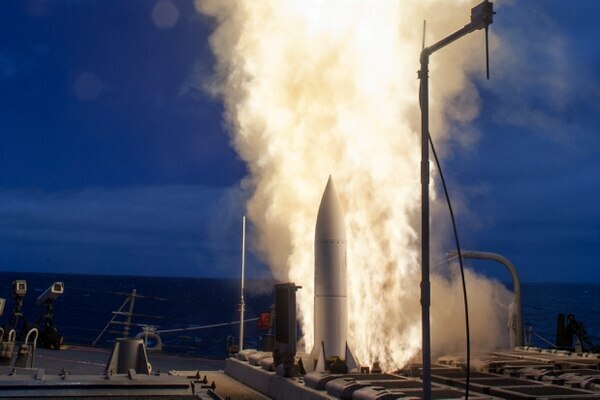 So, if the Navy has a new missile system it wants to run, the software application to run it will be designed to run off of the CSL — and ships with the CSL will be able to rapidly integrate it, just like downloading the latest navigation or gaming software for a smartphone. But the issue is that CSL requires specific hardware to function, said Tony DeSimone, chief engineer of Lockheed Martin integrated warfare systems and sensors, in a roundtable with reporters late last year. “One of the challenges the Navy has, the constraints, is the hardware and infrastructure to support a [common integrated combat system],” DiSimone said. “So while we are marching forward with the capability to be open and take in apps, there is an antiquated architecture out there and there is hardware that doesn’t support it. … You can’t run [integrated operating] systems today on UYK-43s. You’re just not going to be able to do it. So let’s gut them and put some blade servers in, and we’ll work with you.” The UYK-43 was once the Navy’s standard 32-bit computer for surface and submarine platforms. The issue with replacing a fleet full of ancient computers that run old combat systems is the astronomical cost. For example, when the Navy converted the cruiser Normandy into an Aegis Baseline 9 ship, which includes updated displays and blade servers, it cost the service about $188 million and nearly a year offline. 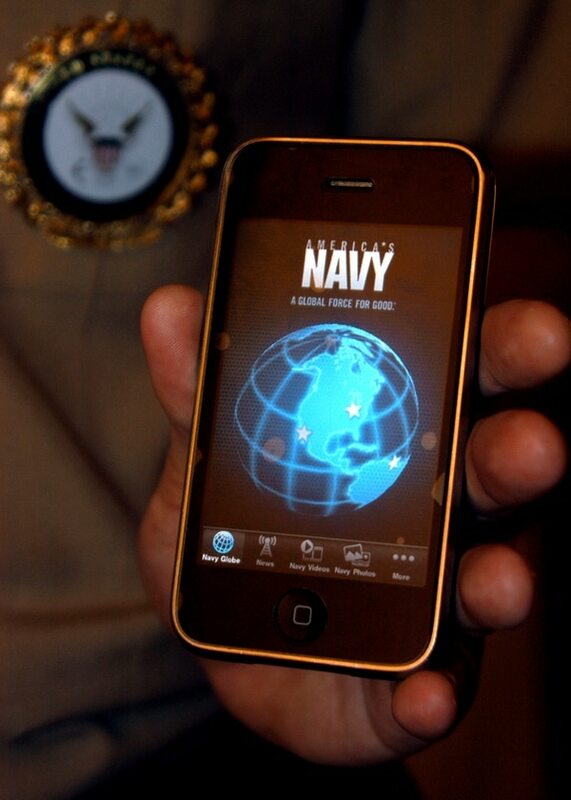 Th Navy's research represents the core of good cybersecurity, both inside and outside the Pentagon. When you stretch that over dozens of surface combatants in need of updated computers, you start eating up billions of dollars and lose decades of operational availability. So while CSL does give the Navy an interface with which developers can create applications to run various systems, it’s all for naught if the service doesn’t have the right equipment. Furthermore, even if the Navy did back-fit all the surface ships with updated servers, you’d need to get various companies to play nice in the sandbox by sharing proprietary information for the benefit of a unified combat system. Ultimately, however, the Navy must affect a paradigm shift that decouples the computer suites that run its combat systems from the system itself, Boxall said. “You can either upgrade the existing ships on that model, which is expensive and you rip the ship apart to do it — cost hundreds of millions of dollars and a year offline — or you design the ship with the idea that you are going upgrade the hardware over its time, and you separate the hardware/software layers,” Boxall said. “We know Aegis,” he added. “What we don’t know [is how to] upgrade Aegis at the pace I think we need moving forward in the future. We don’t have a structure in place and a process by which we do that upgrades with speed.